A gorgeous little bonsai fig tree on a hill, surrounded by mini forest plants, moss and river pebbles. 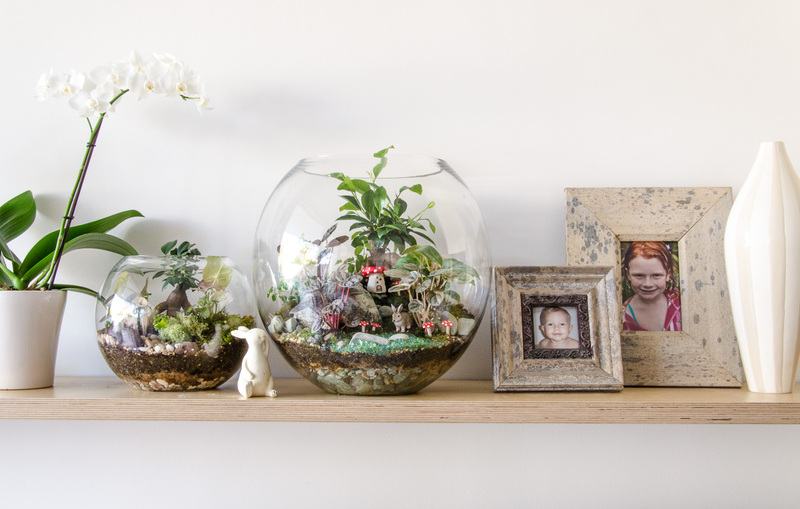 It’s like a bushwalk in a terrarium. Aah, how’s the serenity? Suggested additions: transform your terrarium from living decor to mini landscape with a bunny, deer, bear, fox, fairy home or Laughing Buddha. Please allow 2-3 weeks for delivery. 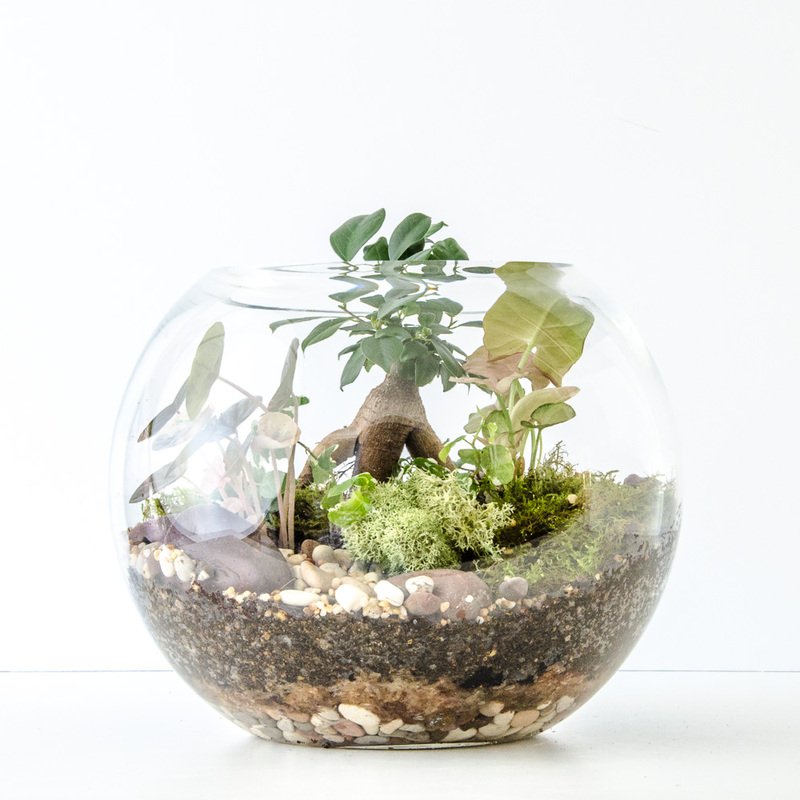 If your terrarium is for a gift or needed by a specific date please contact me prior to ordering to check that I can get it done for you on time – I’ll do my best!